Something surprise me! 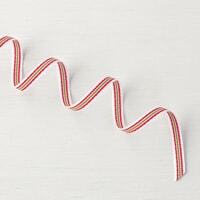 And when I heard that the CHRISTMAS QUILT BUNDLE is retiring I was shocked. This is my favorite from the Holiday Catalog. It can’t go…..not yet! I thought that today I would share a RECAP of all the projects I have previously shared. I love this bundle. 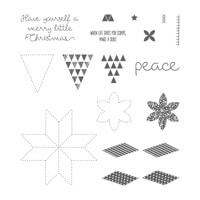 It’s so versatile, can be used with any papers and colors, and you can make cards for any season or occasion!n It’s not just for Christmas as the name implies. You can click on any of the projects below to go to the original post to see all the details on the cards. Christmas Quilt Bundle is Retiring……NO…….. 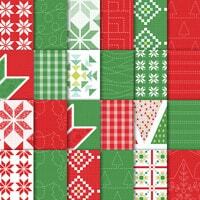 I Can’t Believe the Christmas Quilt Bundle is Retiring! These next 2 pictures show projects made using our Notecards. 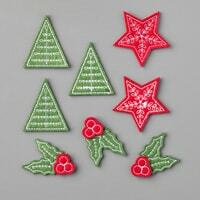 They are the perfect size for the Christmas Quilt Bundle! Remember–you can click on the pictures to go to the original posts for all the details. These next projects are from a Facebook Live Event that I did. Click on the cards for more details. Below the cards I also have the “REPLY VIDEO” that is filled with tips for making these cards and using the Quilted Christmas bundle in general! Here is the video for these projects. If you are reading this in your email, the video may not show up. You can CLICK HERE to go to the blog post to see the video. 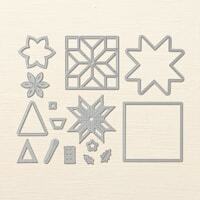 CLICK HERE to purchase this online stamping class, and to see others available. wow…..I think this might be the longest post I have ever written! But I wanted to share all my projects with this bundle in one place for you. 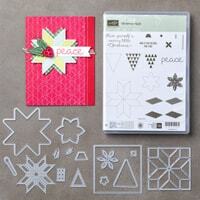 I hope you can see by all these cards how versatile this stamp set is! This is the first card I shared with the Christmas Quilt Bundle along with a video showing how easy it is to work with this bundle. LOTS OF TIPS & TRICKS! Click on the card to go to the post with all the details. Here is the video. Again, if you are reading this post in your email, you might have to CLICK HERE to view the video. Here are a few more cards that I have created with the Christmas Quilt Bundle. Click on the pictures to go to the original post with all the details on these cards! Ok, I think I am done!!! WOW–that’s a lot of cards. Oh wait, I just dug through my desk and uncovered a few more cards. I never shared these, so I don’t have all the details on them, but just a couple more ideas for you! Ok….that’s a wrap! Those are all the projects I have created with the Christmas Quilt Bundle. Don’t forget, it’s retiring and the FRAMELITS are on WHILE SUPPLIES LAST status. We don’t know when they will be gone, so if you want this incredible bundle–ORDER NOW! Click Any Picture Below To Go To The Store! As always, if you have any questions, make sure to ask! Do you need a Stampin’ Up! catalog? Annual or Holiday? If so, and you don’t have a demonstrator that you work with I would love to send you one–just fill out the catalog request form up at the top! I know, I can’t believe they’d retire this set. It’s my favorite set they’ve had in a long time. So versatile-can be used for any occasion. Love all the cards you’ve made with this set. One of my very favorites. Glad you like my cards! Will be hard to put this one away! I can’t believe this set is retiring. I thought for sure it would be a carry over. It can be used throughout the year. In fact, that is the reason I bought it. Thank you for this email. It has all your wonderful ideas all in one place. It is a keeper. Everyone needs this bundle. It’s so fun and versatile. Still time to get! These are great! It took me awhile to warm to the stamps in the bundle but the dies really caught my eye from the first time I saw them. I appreciate all your ideas. I would love to urchasr this set. Unfortunately I do not think so. It was retired with the Holiday Catalog. However, A LOT OF PEOPLE HAVE COMPLAINED to Stampin’ Up! and we are hoping they bring it back. Will have to wait and see.